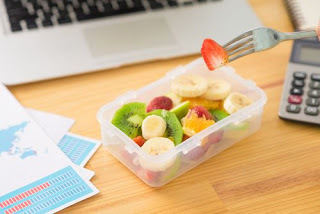 MedFriendly Medical Blog: Healthy Office Snacks Vs. Unhealthy: What’s The Difference? Healthy Office Snacks Vs. Unhealthy: What’s The Difference? With the fast-paced lifestyle most people have today, it’s hard to maintain good health. Many people resort to eating junk food for snacks or meals with very high fat or sugar content, which increases the risk of cardiovascular diseases, diabetes, stroke, and lifestyle diseases. But what makes a healthy and unhealthy office snack? In this post, you’ll learn the difference between healthy and unhealthy office snacks. By doing so, you’ll learn healthy snack options and make healthy food choices. Snacking helps meet your daily energy needs. However, many people snack on foods with high calories but low nutrient levels. It’s important to consider checking the nutritional value of your snacks to avoid obesity and other medical problems. Unhealthy snacks have high calorie content, fat, or salt, which leads to diabetes, hypertension, weight gain, and other health issues. A healthy snack contains protein, fiber, and healthy fat, such as those found in SnackNation healthy snacks. A protein bar may contain these three nutrients. It helps in stabilizing your blood sugar levels to keep your cravings at bay. On the other hand, unhealthy snacks include trans fat, which is commonly found in pastries, fried pies, crackers, cookies, and pizza dough. It is created during food processing, and no amount of trans fat is considered healthy. Fresh whole produce, like fruits and vegetables, is highly recommended. You can bring an apple, orange, or banana in the workplace and get a boost of vitamins and minerals you need to improve your focus and increase your energy. Nuts, legumes, and whole grains are healthy choices, too. The working population is comprised of young professionals, middle-aged adults, and even those approaching their retirement years. That’s why Upskilled Aged Care Courses can help you gain the knowledge and skills needed to ensure you provide healthy snacks to your family, most especially to hard-working dads or aging CEO grandparents. 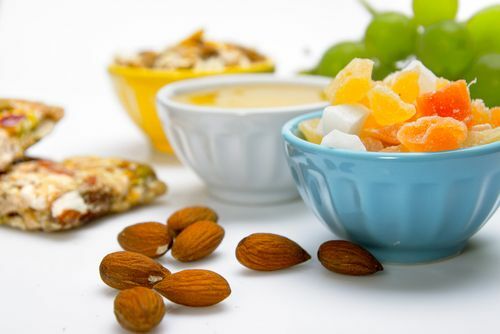 Healthy snacking should be practiced as early as possible to avoid the risk of developing chronic diseases related to poor nutrition or unhealthy eating practices. Also, healthy snacking helps you feel good about yourself, promoting a more positive life perspective because you know you’re living a healthy life. Stroke or Heart Disease: Increased blood pressure and elevated blood cholesterol are risk factors for stroke and heart disease, like peripheral arterial disease. Fried foods are high in trans fats, which raise LDL or bad cholesterol levels. Insulin Resistance: Eating unhealthy snacks can lead to insulin spikes, leading to type 2 diabetes. Dental Health Problems: The sugar and carbs in fast food produce high amounts of acid, which can damage the tooth enamel, leading to dental cavities. Bloating or Water Retention: Eating foods with high sodium content leads to water retention, which makes you feel bloated and swollen. Weight Gain: Unhealthy snacking leads to unintentional weight gain when underestimating the caloric content of unhealthy foods. Depression: Research shows that eating processed food and fast food affects how a person thinks. That’s why unhealthy snacking increases the risk of depression. Healthy snacks are affordable, and consciously knowing that you’re eating healthy prevents the uncontrolled or impulsive buying of unhealthy snacks. Proper food management and family health education help you cut the expenses on your groceries, like buying too many junk foods and processed foods. Also, healthy snacking in the workplace helps reduce the rate of absenteeism due to sickness. Employees feel healthier to go to work as they are refreshed, energized, and ready to start the day. Eating healthy snacks improves concentration and boosts energy, with the vitamins and minerals as well as other nutrients required by the body and mind to function correctly. Unhealthy snacks have excessively high carbohydrates and low fiber, leading to sleepiness and sluggishness, causing slow production and bad decision-making. On the other hand, healthy snacks make you feel full for a more extended period without these negative effects. Encourage other employees to practice healthy snacking, promoting a more positive, healthy, and happier workplace for everyone. Healthy snacks help you meet your daily nutrient requirements along with the major meals you eat. Healthy snacking is essential to stabilize your blood sugar levels, regulate hormones, blood pressure, and promote your overall well-being. Choosing the food you eat wisely also plays a vital role in performing your daily activities and work productivity for a successful career and a better quality of life.